Welcome to Ravenclaw! An open secret of Hogwarts School of Witchcraft and Wizardry is that many of the wittiest, wisest, and most curious (i.e., eccentric) kids end up being sorted in the house built by Rowena Ravenclaw. Like the Sorting Hat says, Ravenclaw definitely champions those with a ‘ready mind’ - for instance, you can’t even get into Ravenclaw Tower without solving a riddle! With its symbol being the eagle and the House corresponding roughly to the element of air, Ravenclaw’s colors of blue and bronze were chosen to represent the sky and eagle feathers, respectively. Neat! So put your Ravenclaw smarts on display by proudly hanging this licensed Harry Potter Ravenclaw banner in your own tower! 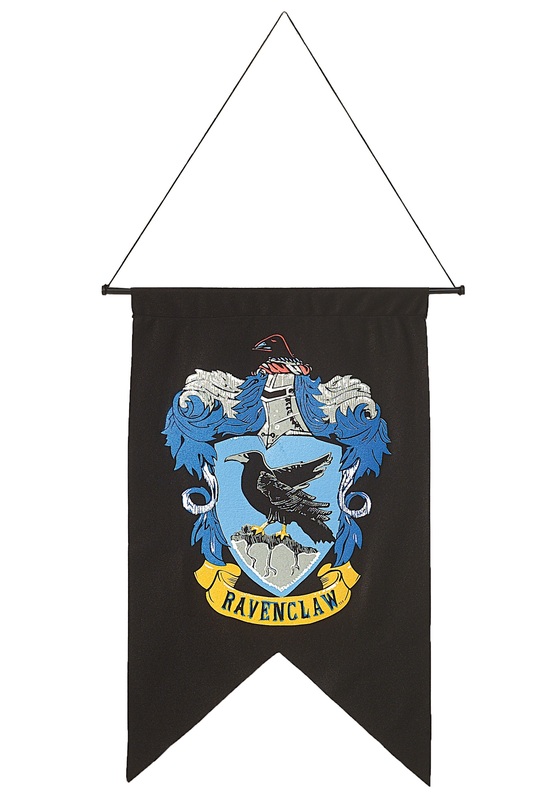 With the Ravenclaw crest printed brightly in the center of this 20" X 30" 100% polyester felt banner, you'll have no problem finding your own witty and wise kind!